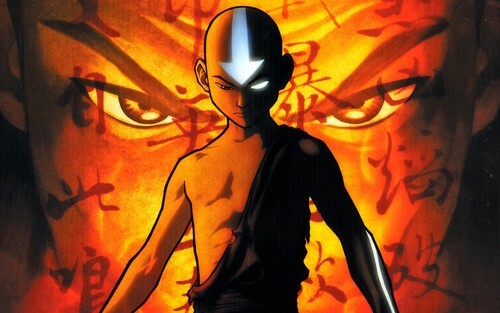 ATLA - अवतार Aang. . HD Wallpaper and background images in the अवतार द लास्ट ऐर्बेन्डर club tagged: photo atla avatar thr last airbender wallpaper. This अवतार द लास्ट ऐर्बेन्डर wallpaper might contain gasmask, श्वास, गैस हेलमेट, गैसमास्क, श्वसन यंत्र, and पार्.